And eats like Jesus--that especially. How typical of Jesus to culminate his earthly ministry with a meal alongside friends. There, he did not say “believe this,” but “do this,” promising that, as often as we eat or drink this meal in the future, he'll be with us. 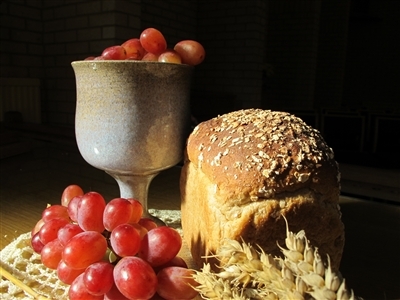 The way to Eucharistic renewal is for more robust, more frequent, more lively celebration of the sacrament of Holy Communion. He replied, “I would teach cooking classes.” What? Click here for the rest of Bishop Willimon's commentary. Courtesy of www.ministrymatters.com.